Jane Buckingham is the founder of a boutique marketing agency called Trendera, which counts Target, Nickelodeon, Hearst, Stubhub, and Hilton Worldwide among its clients. 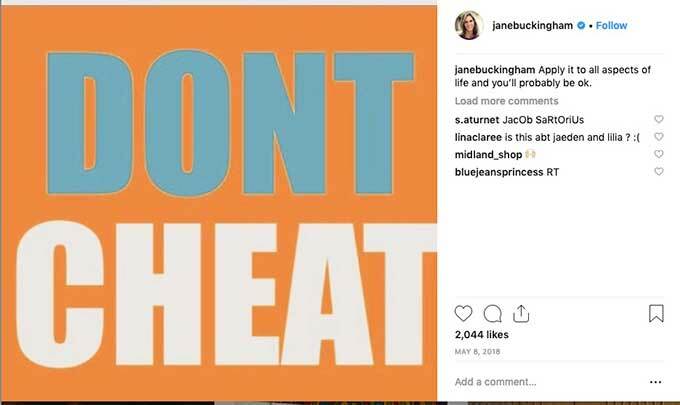 On May 8, 2018 Buckingham posted a graphic that said DONT CHEAT (sic) to her Instagram account, along with the comment: "Apply it to all aspects of life and you’ll probably be ok."
In June of 2018, Buckingham was recorded by the FBI making arrangements to pay someone to pretend to be her son and take a college entrance exam in his name. Last June, Buckingham agreed to make a “donation” to KWF of $50,000, in exchange for someone taking a college entrance test on her son’s behalf the following month, authorities say.